Travel Like a Pro From Day One: Get your pre-trip foundation. This guide will walk you through all of the major factors that can make or break your backpacking budget and how to spend less on them. We traveled to 23 countries in 2 years, full time and spent $22USD per person per day. Now we want to share our methods and tips with you. 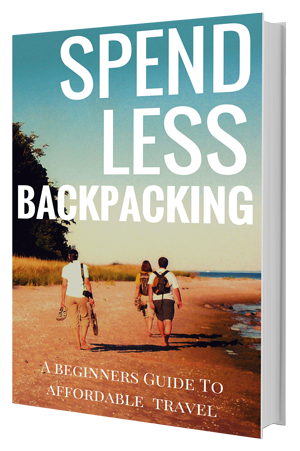 For a limited time, get "Spend Less Backpacking: A Beginners Guide to Affordable Travel" for JUST $7! Just hit the buy now button for quick payment and instant delivery by email. Backpacking is crazy fun but it's easy to come home broke when there are so many people out there looking to overcharge and up-sell first time travelers. After over two years on the road full-time, plus many previous trips, I've learned a lot about how to travel much cheaper. I've tried out so many tips and methods and I'd like to offer up the best of what I've learned. A foundation of all the options that are open to you. What has been most successful and what to avoid. I can help you spend less and get better value for money on your trip. If you've never been backpacking before, there is so much to learn. We meet first timers on the road all the time making rookie mistakes. We made a lot of mistakes too when we started out. 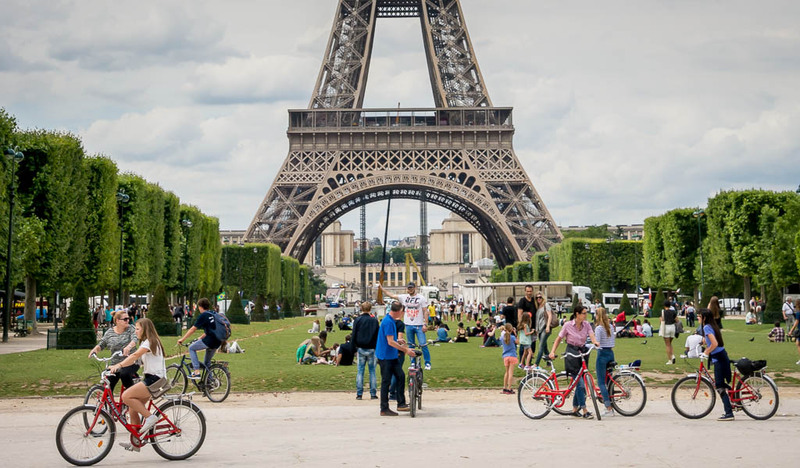 Paying too much for accommodation? But, you don't need to make the same mistakes. Once you understand what kills your budget and what alternatives are available, it's much easier to make the right choices. This guide will walk you through all of the major factors that can make or break your backpacking budget. Each section contains actionable steps and tips for all the backpacker options that can save you money and help you travel like a pro from the second you step off the plane - and get prepared in advance. Most importantly, by the end of this guide, you'll have a much clearer overall understanding of the fundamentals of backpacking cheaper. If I had to start from scratch again today, there is only one piece of advice I would give myself: "Don't go it alone". You just don't need to, we have the answers. Come get them. Frankly, for the insanely low price I'm putting on this guide, you'd be crazy to spend 100+ hours trying to find the info for free across multiple blogs. How much is 100 hours of your time worth? A lot more than $7. Plus, would you even be sure what to search for anyway? I have the answers, I've been through it all the hard way. So take the fast track, get all that information, organised into an easy to follow guide. You can do it right now. Given the amount of practical, proven knowledge that has gone into creating this guide, It should cost at least $25. But, as an incentive to get loyal followers, I'm only asking for $7. Literally, you can have one of those fancy coffees at Starbucks or you can get instant access to all the answers we spent years figuring out and Travel Like A Pro From Day One. I’m so confident that you will find amazing value from this guide that, if you decide it’s not for you, I will give you 100% of your $7 back, no questions asked. The info in this book is from our personal experience as well as tips we learned from other travelers. But, as i mentioned, it took years for us to seal the deal. That's a lot of research time and money wasted as we made mistakes on the road. It's a false economy when you can get the same info for just $7 and learn all those tips in just 85 pages. Q: Will this guide make me an backpacking superstar overnight? This guide focuses and explains all of the many key challenges relating to common backpacker expenses on the road. A $7 guide is not going to give you 10 years of backpacking experience instantly. What it will do is help you make better choices, understand many of the elements that are going to make or break your budget and help you forge your own path with confidence. You will feel a lot more like a pro backpacker from reading it, and be far more prepared. So, no, it's not a magic potion but it is going to help you way beyond its $7 price tag. 1. $7 puts this information within the reach of everyone… We want as many people as possible to read this entry level guide and become inspired to follow our advice and blog in the future. We don't want price to be a barrier. We also believe that once you get a taste with this entry level report, you’ll want more and maybe…just maybe…you’ll come back, buy more and possibly even upgrade to some of our higher end products & services. Once you hit the "Buy Now" button you will enter your name and email and then be transferred to Paypal where you can pay by paypal or credit, debit through your paypal account. Hurry... Save a bunch of money on your first backpacking trip!